In a landmark verdict by the Supreme Court in the CBI matter, director Alok Verma was reinstated today after being sent on leave by the Modi government, and Rahul Gadhi has attacked the Prime Minister. Leveling corruption allegation against PM Narendra Modi, Rahul Gandhi has said that CBI director was sent on leave by the Department of Personnel and Training as he was going to investigate the Rafale jet deal and corruption allegations against Rakesh Asthana. “The CBI chief was removed at 1 am because he was going to start an inquiry into the Rafale deal,” said Rahul Gandhi, as he added that justice has prevailed and it has been served. “Nothing is going to save the PM from Rafale. The evidence is open and shut,” said the Congress president, and raised questions over the intentions of the government to remove the CBI chief overnight. “It is pretty clear that the prime minister has helped Anil Ambani get Rs. 30,000 crores. 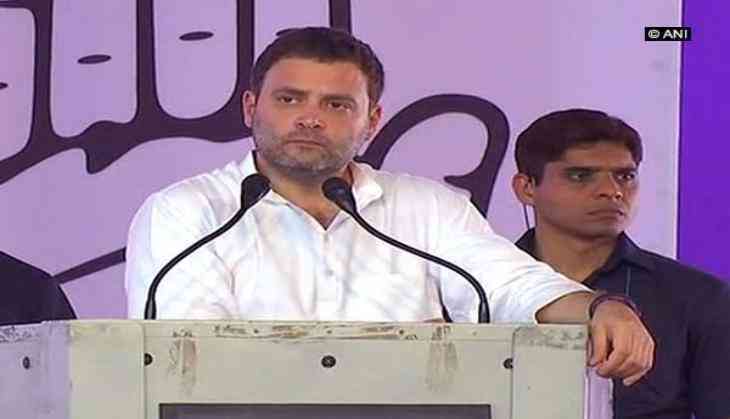 100 per cent, without a shadow of doubt, the nation will know this,” said Rahul Gandhi. Arun Jaitley, while defending the government, said that the verdict of the Supreme Court is “balanced” and that the government will follow the suit.